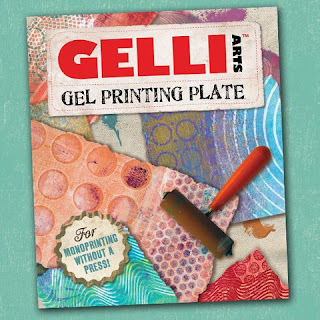 I thought I'd do a little "How to" on making Mono-Prints onto fabric using the Gelli Arts Gel Printing Plate. 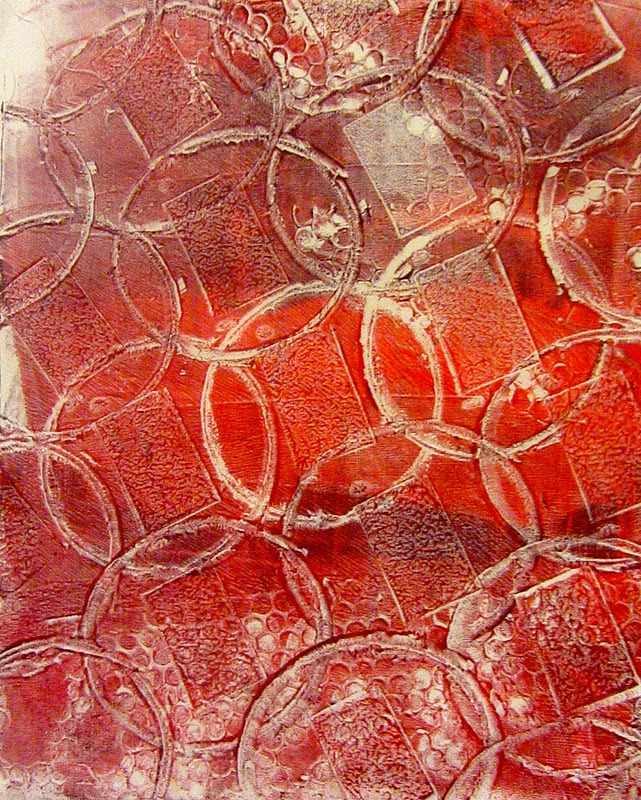 I've made some mono-prints using an acrylic sheet but I really like the ease and feel of using the gel printing plate much better. 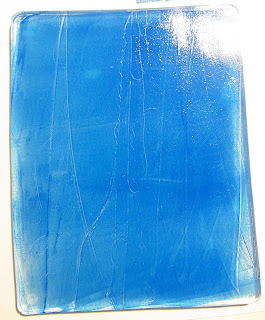 The advantage of using the gel plate as opposed to a plate made from gelatin is that the plate is ready to use whenever you are ready. The plate comes in a 6x6" size as well as an 8x10" and word has it they are coming out with a 12x14" plate! I'm looking forward to the bigger size! Take the plate out of the package (remove the plastic from each side) and place it on a piece of paper to protect whatever surface you are working on. The plate comes out so clean and clear. Next you will put a small bit of paint onto the plate. About 1/2 a teaspoon. You really don't need a whole lot. The paint will stay wet for a little bit giving you time to play. 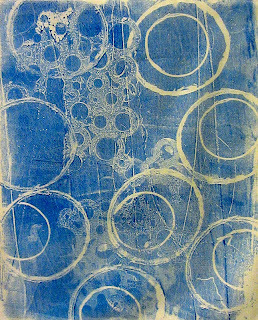 On this printing I stamped the toilet paper rolls to make the large circles and a circle stencil to make the bubbly bits. Just lay the stencil down and run the brayer over it briefly and then remove. Once you are done playing in the paint, lay the fabric over the top and rub. When you lift up the fabric magic happens! Look at that beautiful design now printed onto the fabric! And because I used fabric paint the hand of the fabric is still nice and soft! toilet paper rolls, squares of foam core and sequin waste. 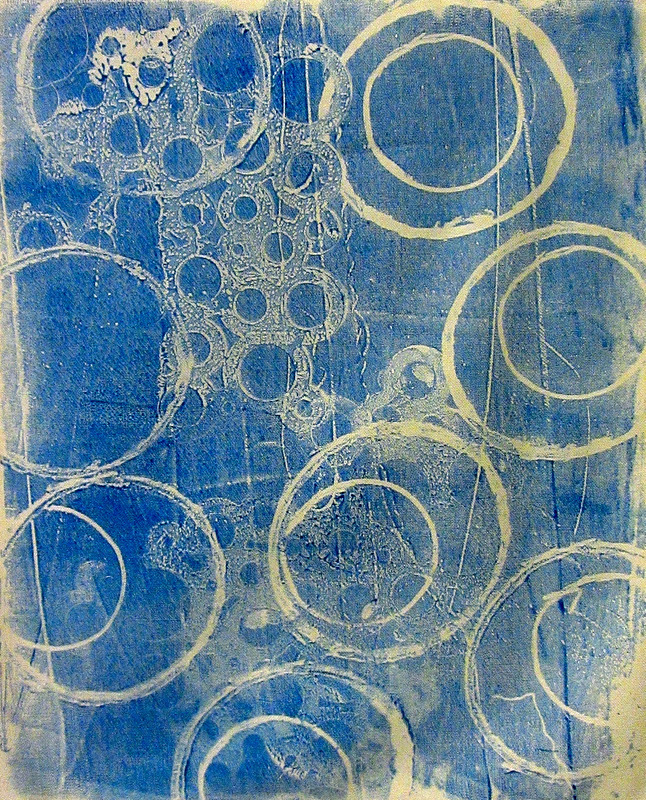 I like the bubbly look of the circles. One you are done printing you can wash the plate in the sink with water or use hand sanitizer or a baby wipe. All of them will wipe the paint right off. Put the acetate sheets back onto the front and back of the plate and then place back in the container it comes in. Store laying flat and it will be ready and waiting to play whenever you like! 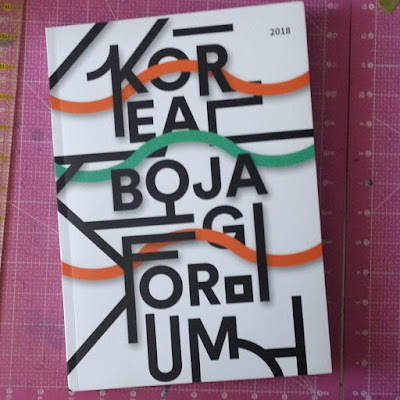 cool printing! I have done mostly paper but I want to play with fabric some more. I really like the sequin/shell piece. 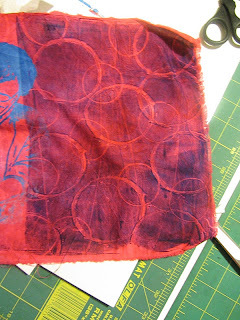 Have you ever used acrylic paint and added fabric medium to it instead of using fabric paint specifically? Worth mentioning that the pfd fabric specified is prepared for dyeing. I believe this could be any fiber content but flat woven would be best to pick up the gelli details..